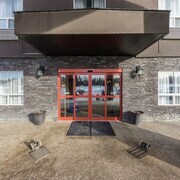 Situated in Fox Creek, this motel is within 1 mi (2 km) of Silver Birch Golf Club and Fox Creek Church. Iosegun Lake is 6 mi (9.7 km) away. It was a nice place to stay! Exceptional service! I enjoyed my stay and would definitely stay there again! Would have been nice to have a hot tub/pool but not a real big deal. Breakfast was great! Good selection to choose from! TV did not have good sound. I think because it was mounted on the wall the speakers were too close to the wall. Should have a sound bar mounted under it. Where to find Fox Creek hotels near an airport? 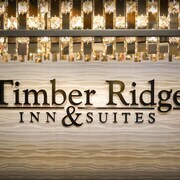 Where can I find hotels in Fox Creek that are near tourist attractions? Arranging several days in Central Alberta and want to stay in central Fox Creek? Fox Creek features 4 quality Expedia-listed accommodations within easy driving distance of the center of town. 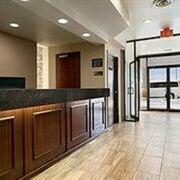 Although Fox Creek can't boast to having a wide range of hotels near its city center, Devonian Hotel & Suites is convenient enough to satisfy most visitors. 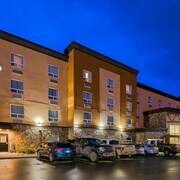 1 kilometre (1 mile) from the middle of Fox Creek, is the Comfort Inn & Suites. Alternatively, the Super 8 Fox Creek can be found 1 kilometre (1 mile) away. 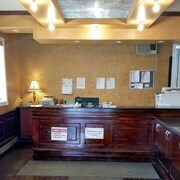 If you'd prefer, you could book the Best Western Plus Fox Creek or the Devonian Hotel & Suites. Once you have spent time in Fox Creek, try and leave enough time to explore more of Central Alberta. Investigate Central Alberta's old towns and archeological sites. Lovers of the great outdoors can also take the time to to enjoy the region's forests. In this part of Canada tourists might also partake in snowboarding and skiing. 80 kilometres (49 miles) away from Fox Creek you'll find Whitecourt, where you can explore Whitecourt Golf and Country Club and Allan and Jean Millar Community Centre. 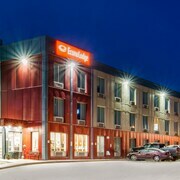 The Holiday Inn Express Hotel & Suites WHITECOURT and Days Inn and Suites Whitecourt are just some of the Expedia-listed apartment and hotel alternatives in Whitecourt. 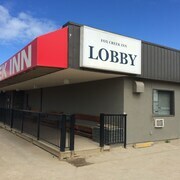 Or, you could stay in Edson, 95 kilometres (59 miles) to the south of Fox Creek, where you'll find the Holiday Inn Express Hotel & Suites Edson and Best Western High Road Inn. Should you choose to stay in Edson, be sure to explore the Vision Park and Edson Golf Club. Just because you are traveling in Central Alberta, doesn't mean you can't indulge in your love of sporting events. Edson Leisure Centre is situated 95 kilometres (58 miles) to the south of Fox Creek. Those sports fans wishing to sleep near to the action can take their choice from the Ramada Edson or the Super 8 Edson. Located 160 kilometres (98 miles) away from Fox Creek is Grande Prairie Airport. Stay nearby at Paradise Inn & Conference Centre or Stanford Hotels and Resort. Are there hotels in other cities near Fox Creek? What other types of accommodations are available in Fox Creek? Explore Fox Creek with Expedia.ca’s Travel Guides to find the best flights, cars, holiday packages and more!